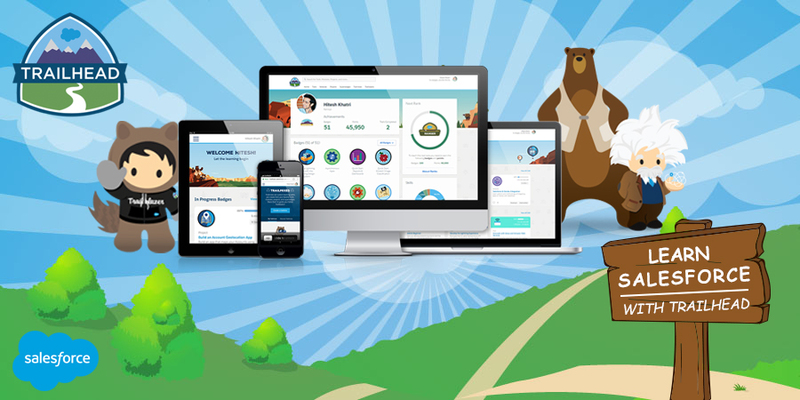 With a view to empower Trailblazer Community and enable organizations to reinvent and transform their corporate learning model, Salesforce launched myTrailhead at Dreamforce 2017. This new customizable learning technique will help businesses promote a culture of learning while encouraging employees to improve their skills matrix. 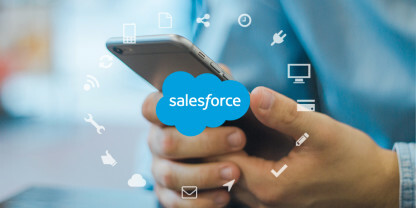 myTrailhead is an extension of the Trailhead (launched by Salesforce at Dreamforce 2014) gamified online learning platform and is instrumental in keeping pace with the evolving technologies. myTrailhead is built natively on the Salesforce platform, including Lightning Platform and Heroku. It awards virtual badges and points that employees can showcase on their LinkedIn or Trailhead online profiles. A tool for creating customized learning content for their employees in just a few clicks. Organizations can also customize the pre-curated Trailhead content with their own brand for best practices for customer service agents and sales enablement, etc. 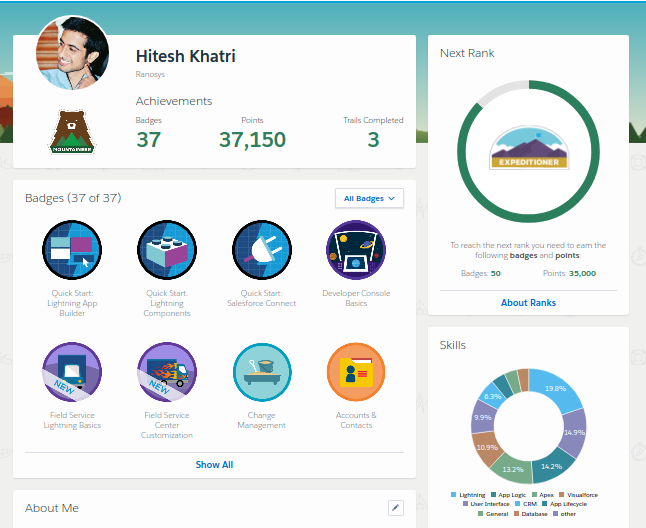 Trailhead profile showcases the points accumulated, badges earned, and skills learned by the employees, which, in turn, helps businesses reward and recognize the employees on the basis of their expertise. This tool also helps managers identify the skilled resources for specific projects. 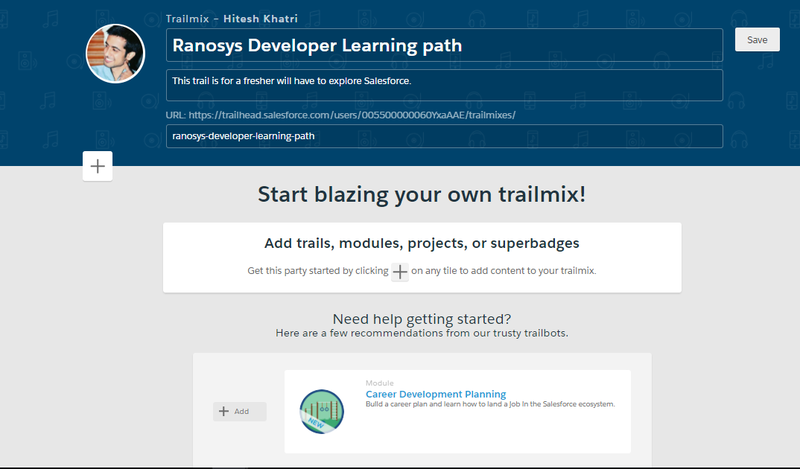 With Trail Mixer, employees can build and share custom learning path called Trailmixes. Trailmixes can be created from external content such as slide presentations or videos, custom content or public Trailhead content. It enables managers to centralize all relevant onboarding materials on one Trailmix, both within and outside of the Trailhead. An application with leaderboards for assisting managers to motivate employees, assign and track their learning and competencies. The leaderboard displays rank on the basis of milestones and earned badges. Trail Checker provides ratings and rewards to employees if they successfully complete the challenges built by the organization. These challenges could be quizzes, hands-on assessment, and stand-and-deliver. myTrailhead is a great platform to learn in-demand skills. This learning platform is anticipated to be in pilot in 2018. It will be available to general public later in the year. Pricing of myTrailhead will also be announced later on. Hitesh is a Certified Android & Salesforce Developer and possesses expertise in Apex, Aura Components, Java, Android, and Kotlin. 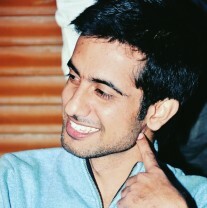 He believes that in life, nothing is impossible, if you put your heart and mind to it. Being a keen learner, he leverages every opportunity to learn new technologies and has a rooting interest in Machine Learning, Artificial Intelligence and Android Things. When not coding, he loves socializing with the people.